This head-on view through a subway train was built into a box that had a small window in its front side. Looking through the windows and open doors on the right side of the train, you can see a complete station platform. 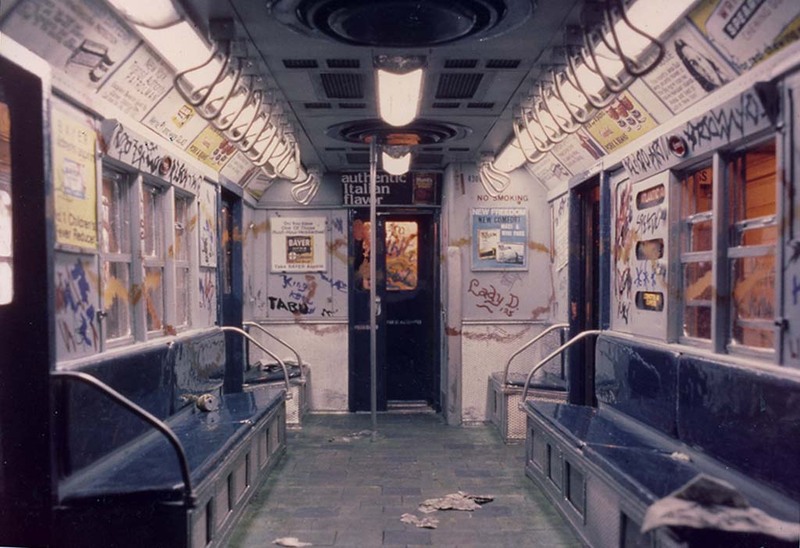 The view through the left side windows reveals an identical subway car sitting on a parallel track. You can see through that car, through it's open doors to the station platform beyond.